"My experience before administrative agencies and courts has taught me many effective ways to resolve disputes, often before they become expensive and public." Heidi N. Hartman, member, concentrates her practice in the areas of employment law, labor law and related litigation. She has represented large and small employers in a variety of industries -- including automotive, education, manufacturing and health care -- in a wide assortment of employment matters and disputes. Ms. Hartman counsels employers to resolve situations with their employees and regularly defends employers in litigation if charges are filed in administrative agencies, such as the Equal Employment Opportunity Commission (EEOC), Ohio Civil Rights Commission (OCRC) or National Labor Relations Board (NLRB). Ms. Hartman and her husband, Randy, have two young sons and reside in Perrysburg. Regularly defends employers in complex employment litigation before both state and federal courts. Advises clients in wage and hour matters and defends class as well as collective actions filed under FLSA and state law. Successfully defended employers against employment discrimination and retaliation claims brought under Title VII, the Americans with Disabilities Act (ADA), Age Discrimination in Employment Act (ADEA), state non-discrimination statutes, Family and Medical Leave Act (FMLA), Employee Retirement Income Security Act (ERISA) and employment-related tort claims. Assists employers in developing and drafting effective and legally compliant employee handbooks and other policies. Counsels on affirmative action planning and OFCCP investigations. Handles internal investigations regarding allegations of discrimination, harassment and violations of company policies, as both an investigator and/or a legal advisor. Advises and negotiates on labor and employment matters arising during acquisitions and divestitures. 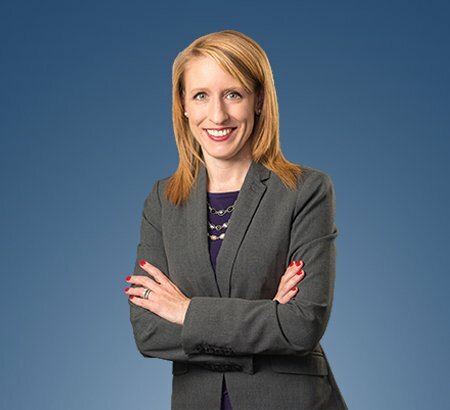 Ms. Hartman has been named one of Ohio's Rising Stars by Law & Politics magazine as a result of surveys of the Ohio Super Lawyers. "Survey: For Better or Worse: An Analysis of Recent Challenges to Domestic Partner Benefits Legislation"